Being away from your loved ones for a long time and keeping in touch with them is not that easy. Fortunately, nowadays there are many ways to talk and express your love with them even if you are miles away. 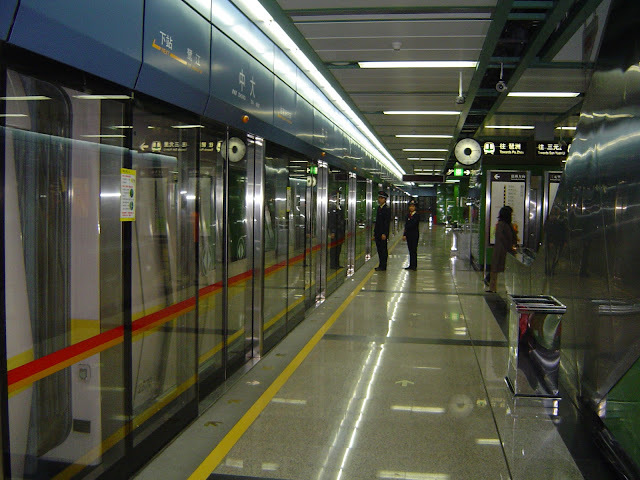 Ways that even if it meant walking through the city to the subway station to use a free Wi-Fi for you to spend a few minutes talking to them. Just like this Chinese migrant worker, Ge Yuanzheng, who has been away from his family for months now. He walks every night after his work to the subway station to call, ease the gap between him and his wife together with their children and expressing his love for them by using the subway station’s free Wi-Fi. He had been doing all this for three months that he has been away from them. 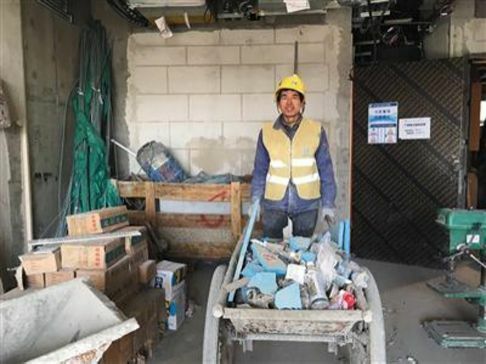 Yuanzheng, from the central Henan province, has an offer to work in the construction sector that was based in Shanghai, meaning he has to move in there away from his family back home. Yuanzheng and his wife have to manage their budget carefully. In order to plan well his salary, earning a measly 200-300 yuan (PHP 1,600 – 2400) a day, he has to share a space to sleep with his workmates and preventing himself in spending too much on an internet data package. However, it is not a reason for him to stop doing his best to make it a point to keep in touch with his loved ones. Luckily, the Chinese migrant father found a way to talk to his family every day on his phone for free. The only problem is that he has to walk every night to the subway station after his work to make use of the subway station’s free Wi-Fi. But in spite of feeling tired from work and by walking every night, Yuanzheng is happy sitting and chatting comfortably with his wife and children with the warmth of the station. One night, when he went to the subway station, a netizen took a photo of him while he was charging his phone and chatting with his family. 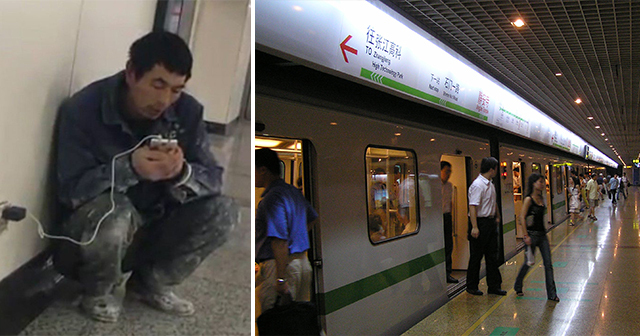 His photos were posted by the netizen online and went viral instantly. Comments and reactions flood the post. There are netizens sympathizing the migrant father and there is some asking on why he didn’t buy or avail a monthly data package for his phone so that he can easily communicate with them instead of walking every night for a free wi-fi. Little did they know that Yuanzheng is saving up all his money for his family and just spending a little amount from it for all his necessities. Yuanzheng and his wife have two children. One of them, his daughter, is studying to become a nurse someday, but her education cost around 30,000 yuan (PHP 240,000) a year, which is why he accepted the offer to work in Shanghai and be away from them for long to support all their needs. Yuanzheng’s wife and family saw the viral photo, and they were heartbroken to see that their father walks through the city every night after his work just to call them and tell them how much he loves them. On the other hand, Yuanzheng assured them that he was doing fine, and will do anything for his family. Yuanzheng’s sacrifice to support his family is truly admirable. No matter what hardships came, he pushed through. His story of perseverance and love embodies most fathers who will do anything for his family.